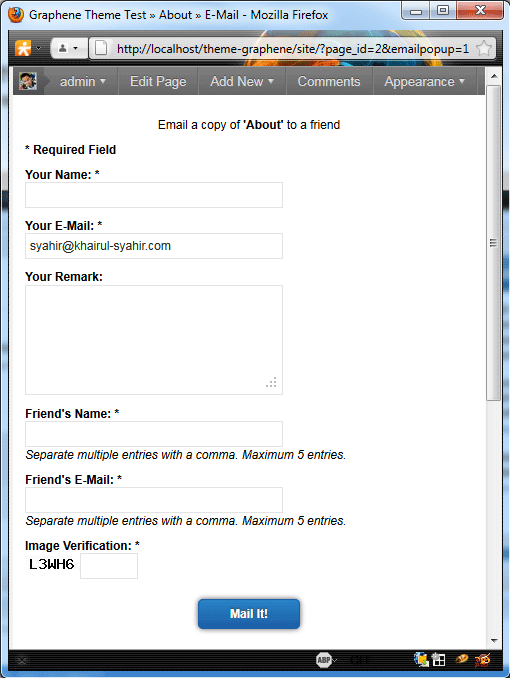 WP-Email plugin allows your site’s visitors to recommend or send your posts and pages to friends via email. The styling of the default HTML output by the plugin has been styled to follow the theme’s styling, so the send email form that your visitors will see will not look out of place. The default email button and text for the WP-Email plugin. You can configure both in the admin panel. WP-Email's popup send email form, styled to integrate better with the theme. 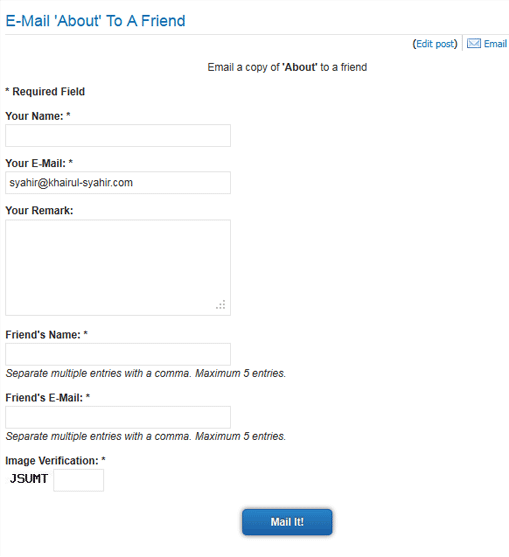 WP-Email's in-page send email form, also styled to integrate better with the theme.